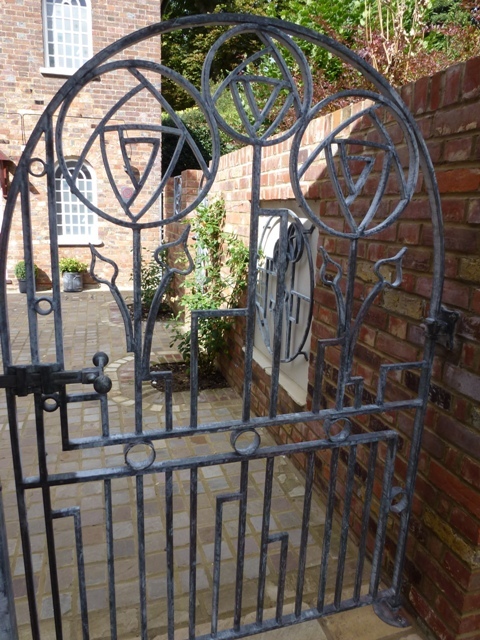 These custom designed, hand forged, metal gates and screens complete part of the garden design for a courtyard area within a larger garden in Berkhamsted, Hertfordshire. 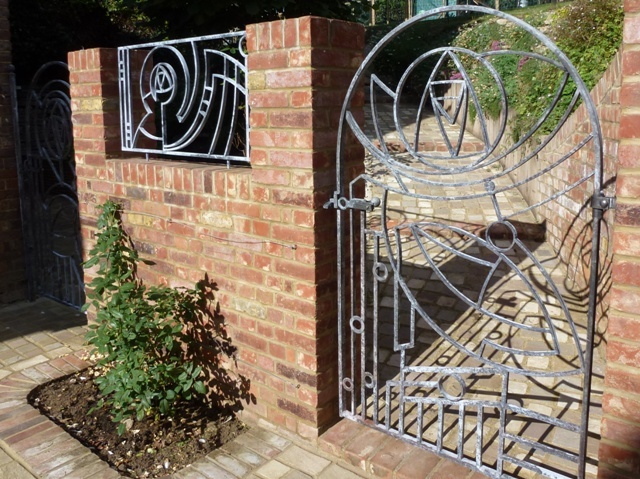 The rose motif within the metal work has been designed in an art deco style to reflect the name and historical rose connections of the house. 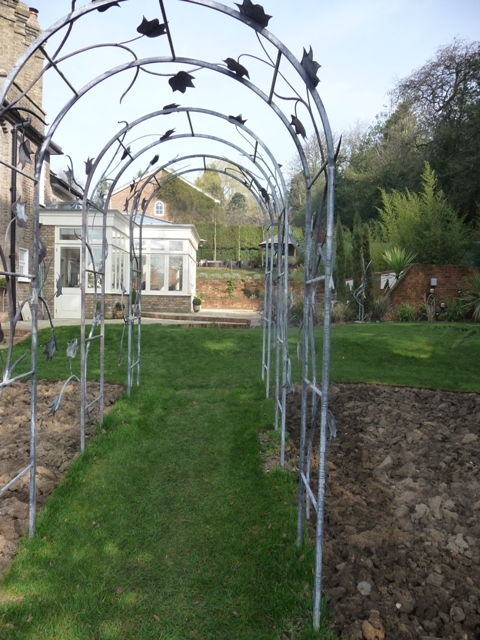 We are currently completing a further phase of the garden for which these individual architectural garden structures have been commissioned. 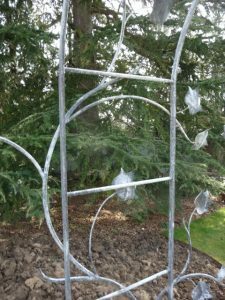 The inspiration for these garden elements is an 80 year old Tulip tree which stands majestically at the top of the driveway. 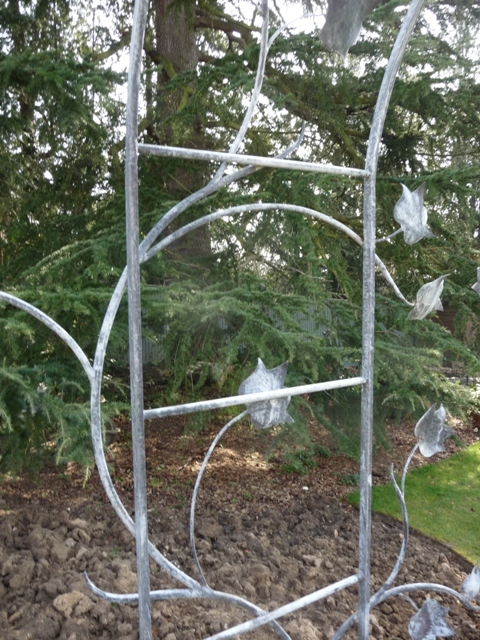 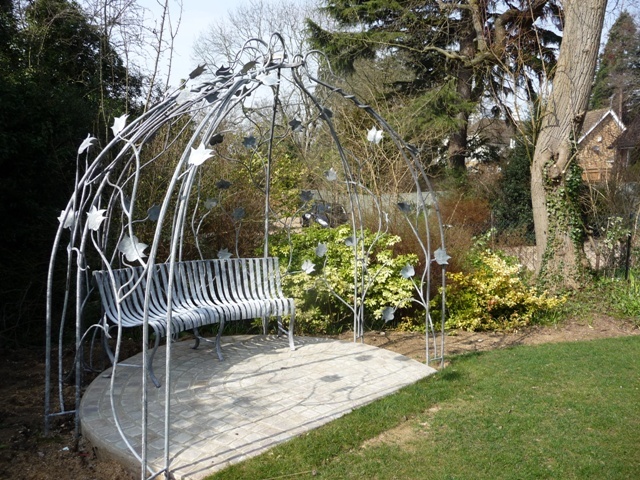 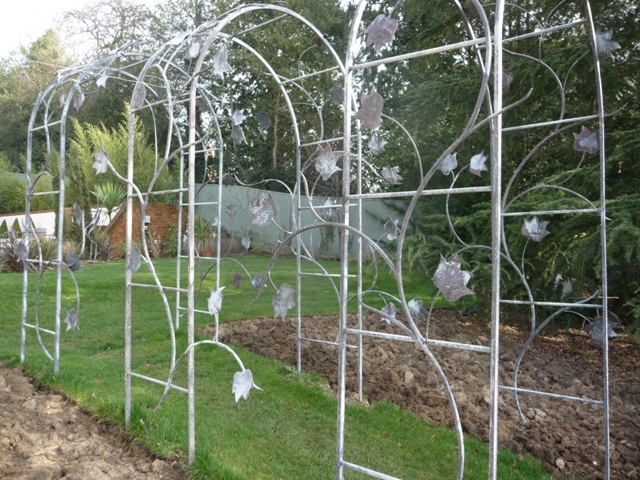 The distinctive leaf shape of the Tulip tree has been reproduced within the design of the metal archways and gazebo. The beds either side have been prepared ready for the planting of roses, clematis and honeysuckle later this month, to create a scented walkway, and the softly rounded, curved, metal seat within the arbour, creates a fragrant place from where to sit and enjoy the garden. 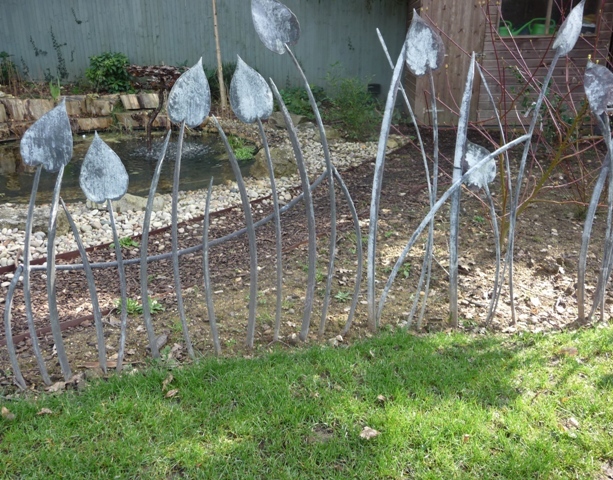 Similarly, forged metal, marginal pond screens, create an attractive, low separation through the planting around the edge of the pond and will help to keep the balls and dogs out of the water.